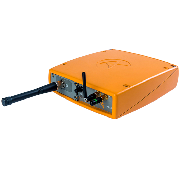 The AsteRx-U is a powerful all-in-one multi-frequency GNSS receiver that offers centimetre-level RTK positioning to users in industries including agricultural, construction, and mining. 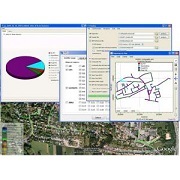 The AsteRx-U is a powerful all-in-one multi-frequency GNSS receiver from Septentrio. 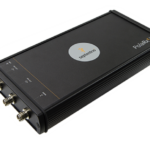 This compact and portable receiver offers centimetre-level RTK positioning to users in industries including agricultural, construction, and mining. With its ability to track all current and future GNSS constellations on both antennas, users are guaranteed reliable and accurate positioning now and into the future. Thanks to Septentrio’s LOCK+ technology, the AsteRx-U is able to maintain tracking during heavy vibration. IONO+ technology assures the accuracy of the position, even in regions of elevated ionospheric activity. To ensure clear reception at all times, the receiver has the built-in ability to mitigate interference and filter out ambient intentional and unintentional RF interference. You can operate the AsteRx-U from any web-enabled device via the built-in web server, accessible over Wi-Fi or USB connection. The Septentrio AsteRx-U is available through Blue Planet Geomatics. If you would like to learn more about it, please feel free to get in touch with us by completing the Request Pricing form.